This entry was posted in Salads, Side Dish and tagged cherry tomatoes, grape tomatoes, slow roasted tomatoes by Mom Mom's Apron. Bookmark the permalink. 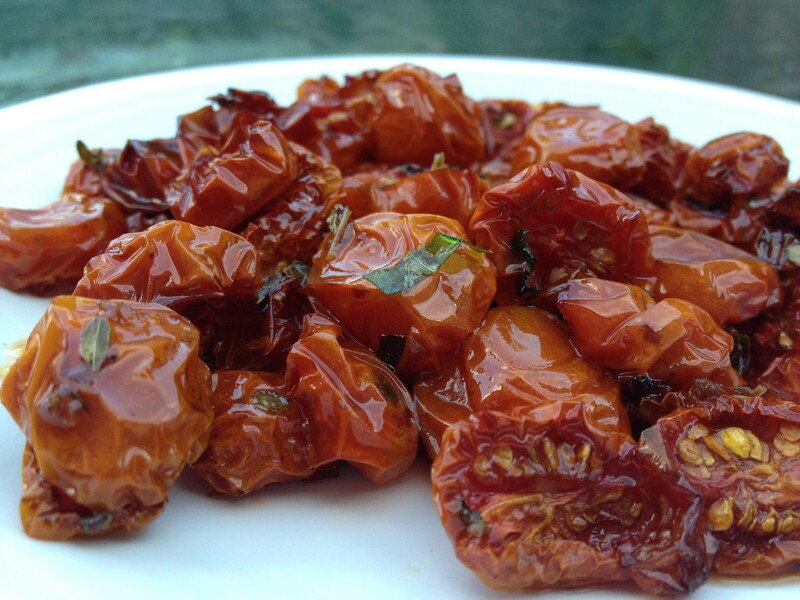 I love slow roasted tomatoes! 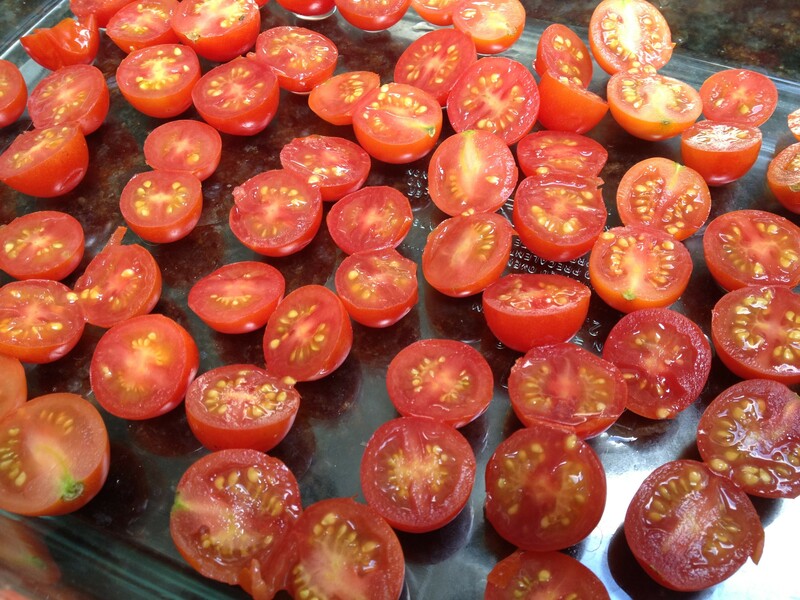 Lucky you to have tomatoes from your garden – it makes them even better! Yum & thanks, I’m going to try it today. What’s your suggestions on how to make them into a meal besides pasta & pine nuts which is my go to for everything! Do you like quinoa? I was thinking of pairing them with quinoa and feta (feta being MY go-to ingredient). I usually do throw them in pasta or on a sandwich, but they might make a nice addition to a jazzier salad, too.